Ice cream: It’s one of many edibles that really deserves its own food group. With infinite flavor and topping combinations, South Carolina’s best ice cream parlors will keep you coming back for more. 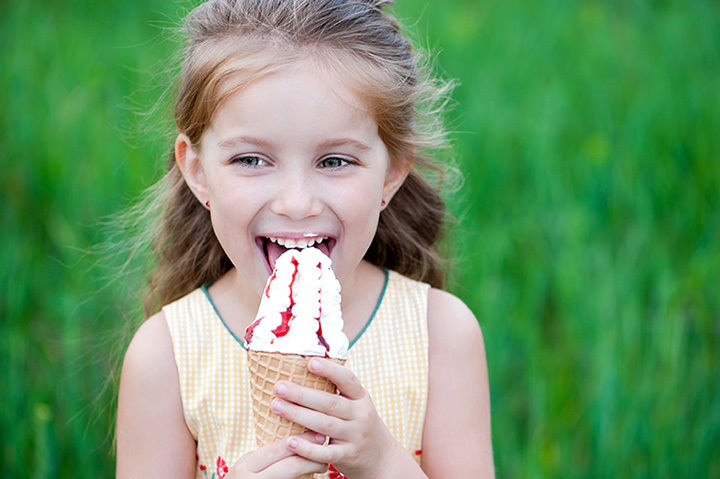 No matter your flavor choice, when your sweet tooth kicks in, one of these 10 best ice cream parlors in the state will cure you right up! You’ll appreciate the loving approach Jeni’s takes in creating a complex ice cream masterpiece. Using fresh, local ingredients, their ice cream making process ditches dyes, dry mixes, and fake flavors, opting more for a truly homemade experience that is nothing short of splendid. Your taste buds will thank you. Some classics never die, like the banana split or an ice cream soda. You’ll find both of these nostalgic morsels, and more, right here. This is the locals go-to with a nationwide following, thanks to the high traffic of tourists that frequent the locale each year. Discover the art of ice cream at Sweet Cream Company. Focusing on natural flavors and texture, every flavor comes to your cup or cone handcrafted in small batches and made with love. How do you make it through over 60 years in business? By doing it right, always. Painters Homemade Ice Cream has been serving many generation of Grand Strand visitors since 1952. They make all their ice cream on site, and provide the small-town, homegrown service-with-a-smile that so many other establishments seem to have misplaced. This is the place the locals love, and locals tend to know what they’re talking about. This family-run shop isn’t much to look at from the outside, but it’s the yummy, ice cream-y goodness on the inside that matters most. While you’re there, you can stock up on farm-fresh produce, jams, jellies, and other goodies. Tired of the same regular flavors? Sweet Retreat lets you create your own one-of-a-kind. Start with a chocolate or vanilla base, add your fruit, candy, or nut flavors, and let the ice cream experts go to work crafting your unique treat. While you’re there, you can spring for a go-kart race or round of mini golf, or indulge in some handcrafted chocolates. Expect a sweet time here. Nothing short of visually appealing, Pink Mama’s is as much a treat for your eyes as your mouth. They can even bring their mobile ice cream mobile to your next party. An Anderson tradition for decades, Besto is part diner, part ice cream shop, and 100 percent tasty. They offer homemade ice cream spanning the gamut of traditional flavors, as well as a couple soft-served varieties. You can find all the classics, like banana splits and sundaes, as well as their beloved candy-infused cyclones. The best ice cream in Aiken, and the second best in the Palmetto State, comes from Flanigan’s Ice Cream. They’ve cultivated a family friendly atmosphere that kids of all ages will be begging to return to, especially during their many year-round events. This little shop hasn’t quite completed a whole revolution around the sun, but they’ve already made a splash in the Spartanburg community. Family owned and operated, it took two years of planning, researching, and developing before the doors finally opened. And it was well worth the wait. You won’t find more superior ice cream anywhere in the Hub City area.